Tory Higgins is the Stanley Schachter Professor of Psychology, Professor of Business, and Director of the Motivation Science Center at Columbia. He is a Fellow of the American Academy of Arts & Sciences. He is the author of Beyond Pleasure and Pain: How Motivation Works, and Focus:Use Different Ways of Seeing the World for Success and Influence (with Hiedi Grant Halverson). He gave the University Lecture at Columbia University and received Columbia’s Presidential Award for Outstanding Teaching. He is a member of the Wall of Fame (Society for Personality and Social Psychology) and received the Ambady Award for Mentoring Excellence (Society for Personality and Social Psychology). 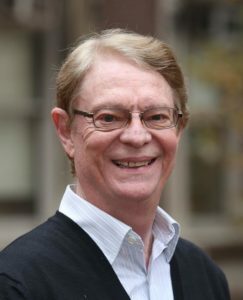 E. Tory Higgins has received the Thomas M. Ostrom Award in Social Cognition, the Donald T. Campbell Award for Outstanding Contributions to Social Psychology (Society of Personality and Social Psychology), the Lifetime Contribution Award (International Society for Self & Identity), the Distinguished Scientist Award (the Society of Experimental Social Psychology), the Anneliese Maier Research Award (Alexander von Humboldt Foundation) the William James Fellow Award for Distinguished Achievements in Psychological Science (Association for Psychological Science), and the American Psychological Association Award for Distinguished Scientific Contributions. * FABBS would like to thank Dr. Timothy Strauman for nominating Dr. Higgins for this honor and for leading the effort. Would you like to honor Dr. Higgins? It’s not too late to have your name added to the list of donors! You can make your donation to Dr. Higgins’ In Honor Of… campaign at anytime.